Nokia, A phone maker company which was known as the best phone maker company before Apple and Samsung came in the market. Smartphones from Apple and Samsung has destroyed Nokia's market. But Nokia has made come back in Mobile World Congress (MWC) 2017 in Barcelona by putting its Android based smartphones in the market. Nokia 6, 5 and 3 which are all Android based smartphones. 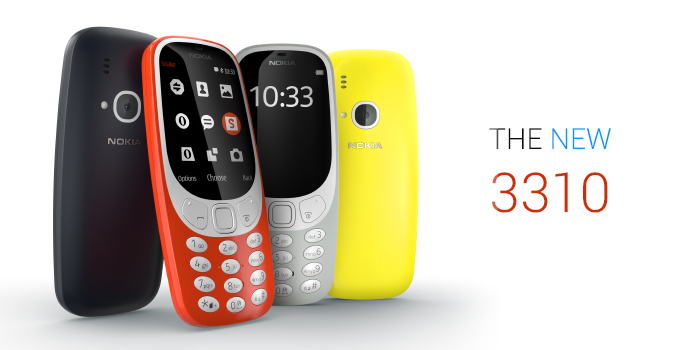 But the best part of the event was relaunching of Nokia 3310 with advanced features. Nokia 3310 was all time favorite feature phone which was famous for its durability. Nokia 3310 will be available with more color options.